Danny Amendola an American football wide receiver who plays for the Miami Dolphins of the National Football League (NFL). At Texas Tech, he played college football. 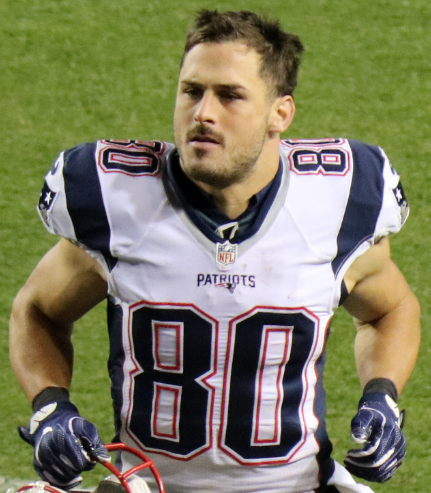 Amendola has appeared in TV commercials for brands as Gillette and Asics. In 2017, he signed a representation contract with Ford Models. Olivia Culpo is shocked by Danny Amendola's pictures with CBS sports journalist Bianca Peters in Miami Beach. Later Bianca says that she has nothing to do with him. He won 2 Super Bowl Championships and 3 Conference Championships with the Boston based giants. Danny Amendola‘s birth name is Danny James Amendola. He was born on 2 November 1985 at The Woodlands, Texas. He was born to Willie Amendola and Rose Amendola. He has an older brother named Matt Amendola who plays football for Baylor University. He belongs to American nationality. His zodiac sign is Scorpio. He attended The Woodlands High School. He graduated from Texas Tech University with a major in communication. The well-known wide receiver’s height is 1.80 m and weight is 77 kg. He has dark brown color hairs and his eye color is dark brown. His body build is stocky. Overall, he has a balanced and healthy body. He finished his college career with 204 receptions for 2246 yards and 15 touchdowns. As a junior in 2006, he had 48 receptions for 487 yards and five touchdowns. As a senior in 2007, he had 109 receptions for 1,245 yards and six touchdowns. In 2008, he signed with the Dallas Cowboys. He spends the years with the regular season practice squad. In 2009, he signed to Philadelphia Eagles. He was resigned to the regular squad but never played a down in the regular season. In September 2009, he signed to St. Louis Rams. For the first season, he had 43 passes for 326 yards and one touchdown. In 2010, he played six games and made 2364 yards including 689 yards on 85 receptions, 81 yards on 7 rushing attempts, 1,142 yards on 50 kickoff returns, and 452 yards on 40 punt returns. In 2011, he had an upper injury and missed the remaining 15 games. In 2012, he finished the season with 804 total yards, including 666 yards on 63 receptions and 122 yards on 17 punt returns. In 2013, he signed with the New England Patriots. He finished the year with 54 catches for 633 yards and two touchdowns, second to Julian Edelman. In 2014, he finished the season with 32 passes, 329 yards, and 4 touchdowns. In 2015, he finished the season with 230 yards and 3 touchdowns. He was fined $23,152 by the NFL for an illegal block on Kansas City Chiefs punt returner Jamell Fleming during the AFC Divisional playoff game. In 2016, he finished the season with 23 receptions on 29 targets for 243 yards and 4 touchdowns. In 2017, he finished the season with 13 receptions for 184 yards and 2 touchdowns. In March 2018, he signed a two-year contract with Miami Dolphins. Danny Amendola is dating Olivia Culpo. They have often flaunted their relationship on social media. They had many ups and downs but they have managed everything and is still together. Before he dated Talor Reazin in 2013. From 2015 to 2016, he dated Kay Adams. 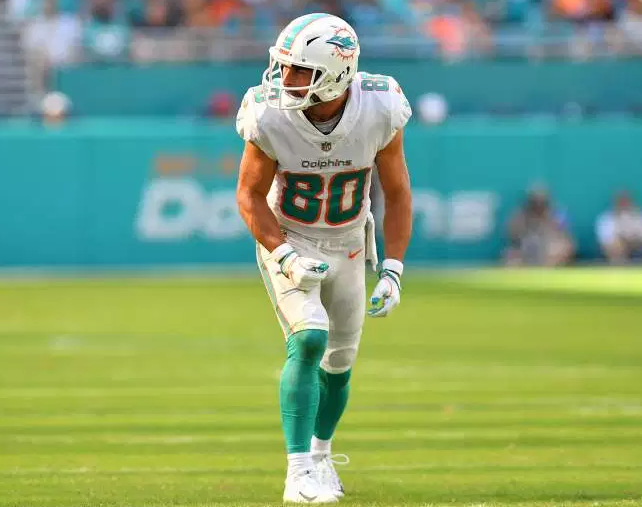 Danny Amendola's career earning is $26.79M with Miami Dolphins in 11 seasons. He was also ranked 456 among the active NFL player in 2018. In 2010, he launched his Catches for Kids initiative, which aims to raise funds for the underprivileged children and youth in inner cities. While playing for his high school team, he created history by taking his team to its first-ever Texas state championship game.